If you live in a city and only have a small outdoor space to work with, you might feel limited in terms of what you can achieve. However, this doesn’t have to be the case. Small outdoor spaces can be equally charming and stylish, although they do require careful planning. Remember to choose elements that compliment one another in terms of material, colour or texture so that your theme is unified and doesn’t look too busy. Don’t make the mistake of trying to pack in lots of large garden furniture, because this can overwhelm a smaller outdoor space. Stick to one design or style and really make it work. Built-in furniture can be a great space-saver, for example benches made part of flower beds or borders. If you want to have a set of deckchairs or a table for the summer months, make sure these items are packed away in a shed or utility room when not in use so your garden doesn’t look cluttered. 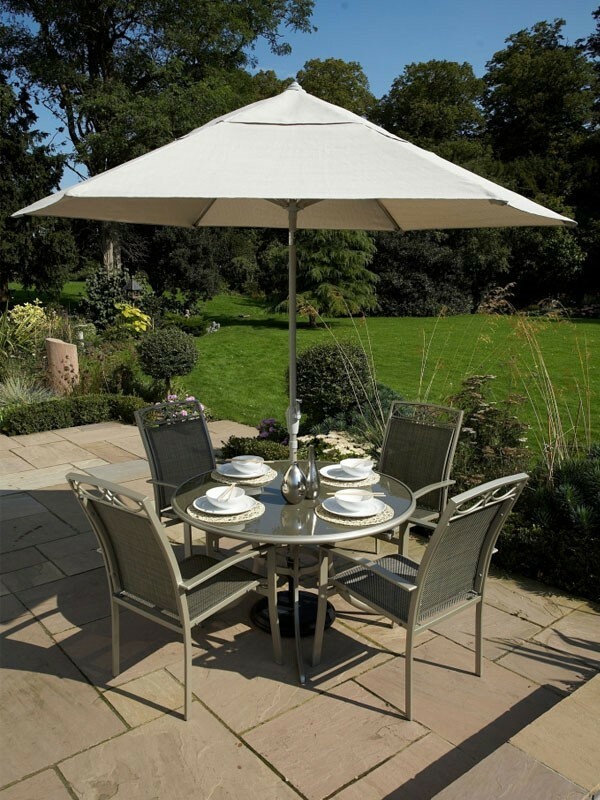 Wicker rattan furniture is a good lightweight choice and available from retailers like Shackletons Garden Furniture. One of the advantages of a small garden is that it retains the wonderful fragrances of scented plants. Using jasmine, clematis or climbing roses to cover fences and outdoor walls is a great option for small gardens because their scent is contained and you will get the full benefit of this in the months when these plants are flowering. Climbing varieties are also a space efficient choice as they grow horizontally. If plants have outgrown their space, you need to consider whether your garden would benefit from their removal. Having light-coloured garden walls or fencing will create the illusion of space and let more light into dark gardens. If a mirror can increase the sense of space inside the house, why not try this trick outdoors too? Surround the mirror with plants to maximize the sense of greenery in your garden. Large paving slabs can overpower small gardens, so stick with smaller patio stones like pavers, sets and bricks. Add candles and tea lights in pretty containers so that you are able to enjoy a small garden in the evening. Clever lighting can do wonders for small gardens and there are plenty of inexpensive options available. Check out these pins for more stylish and practical ideas for small gardens.